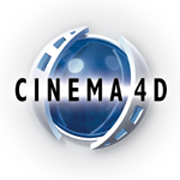 Cinema 4D is a modelling tool for creating 3D models, computer graphics and animations. An advantage is its easy handling and clear menu structure. But it's no cheap software. You will find more about it on Wikipedia and www.maxon.net. If you are a Mac user, you can try to compile the source code downloadable on the ogreaddons SVN. To report bugs, for an older Cinema 4D version support, or for some questions, please email me. Just unzip Ogre3D_Exporter.cdl in the Cinema 4D plugins directory and restart Cinema 4D. If this exporter doesn't comply your wishes, you can look for the commercial exporter I/Ogre. A trial version is also available. Contributors to this page: paroj , jacmoe and Spacegaier . Page last modified on Friday 04 of August, 2017 12:00:09 GMT-0000 by paroj.